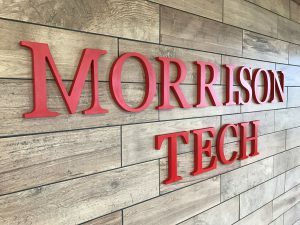 When considering Morrison Tech, many students and parents might question if Morrison Tech is affordable. The return on your investment is an often overlooked, additional factor to consider. Many colleges, in particular community colleges seem to offer lower initial costs but, have you considered their retention and completion rates? Community colleges provide a good example of schools with very low retention rates along very low graduation and placement rates. 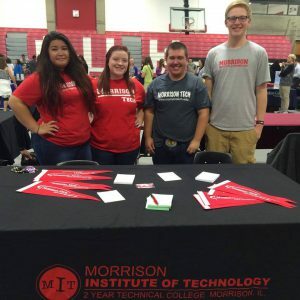 Morrison Tech has established itself as one of the highest quality colleges based on its high retention rates, its high graduation rates and most importantly its high placement rate which exceeds 90%. In our “Quick Facts” it is noted the average starting graduate salary exceeds $45,000. The payback period is defined as the time required to recoup money invested, the break-even point. A one year payback on a two year investment suggests an education at Morrison Tech affordable. Our goal is to see its students complete their education and achieve employment opportunities for the future. That is why many of our graduates actually achieve higher starting salaries then many 4-year graduates. In order to make these goals affordable, the college offers several financing options that are available to those students that qualify. Many of these options are grants and scholarships that do not need to paid back. Our Financial Aid office will work with each individual to determine the package of aid that will best suit your needs and also, if necessary, meet parent's financial obligations. Morrison's commitment to your success is shown within every staff member. As a college we are here to guide you on the road to a successful career. 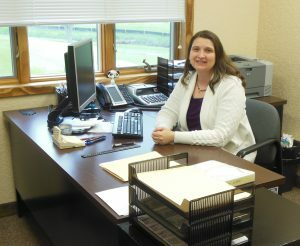 Our Financial Aid Director, Lisa Kramer, will meet with you personally and as often as necessary. 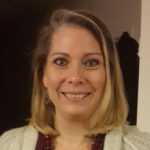 She will work with you to determine the most effective and practical plan that meets your needs. If necessary, she will consult with parents to establish a financial plan that will fall within their financial picture and goals. This will consist of creating a financial package that will make your education affordable The Financial Aid Office is willing and capable to assist you in making those decisions. It is strongly advices to complete the FAFSA, Federal Application for Federal Student Aid. This form may be found at www.fafsa.gov. Morrison Tech’s FAFSA code is 008880. At this time, 2016, I have been with Sandia for 26+ years. I’ve returned to college in pursuit of me BSME degree. I am still doing a lot of design work in both SolidWorks and CREO. I am the subject matter expert for design drafting in my department and center. Sandia is a great place to work and the area is breathtaking. I grew up in a very small farm town in Illinois and moved to a big city which was a huge change but I pushed through like many of the past alumni. It has been great meeting some of the newest alumni and talking about how much MIT has changed over the years. My husband drag races through out the southwest and we have 5 beautiful children. I thank the Lord above for showing me this path because it has been a blessing. Hi, my name is Tyler Thacker and I’m a graduate of Morrison Tech. 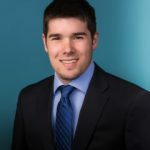 I am currently a Product Designer for BorgWarner which is an automotive company that designs and builds many major components for most of the major car manufacturers across the world. The Dixon, IL facility specifically specializes in Emissions Systems which are very important in today’s car industry. My job is to design products for certain car manufacturers based off of information I am given by the Engineers and also feedback from the manufacturer who we are working for. If I had not chosen Morrison Tech I don’t think I would be were I am today. The automotive industry is very fast paced and always changing to meet newer, better standards, which is why I think Morrison Tech is a great school because they are always changing to keep up with modern technology. 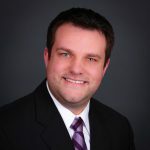 At BorgWarner I specialize in using CATIA, which is primarily an automotive industry specific CAD software, but I also am a certified Solidworks user and use Solidworks from time to time. Also, almost anywhere you go you will find a Morrison graduate, there are many scattered everywhere and all the ones I have met are all very pleased with starting the journey at Morrison Tech. I am married and have 2 children.